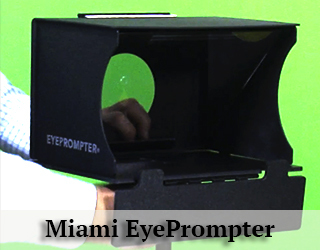 The standard prompter is placed in front of the camera. The unit displays text on glass for the talent to read while he/she looks into the lens. The prompter adds about 15 – 20 pounds to the tripod. 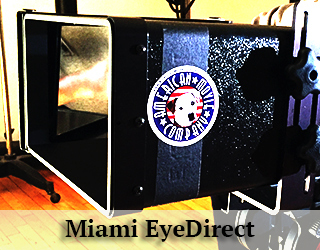 Price: $250/Day; $750/3 Day WeekAvailable for pickup or shipping.The EyeDirect is a small, easy to use unit that does not require an operator. The unit is packed for shipment in a case that measures a little larger than a carry-on and weighs about 30 pounds. This unit achieves the same effect as the Interrotron in that it facilitates a face to face conversation between the interviewer and interviewee. 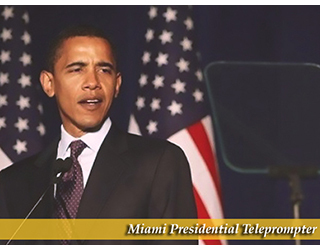 Price: $845/10 Hour Day with OperatorThe Speech Teleprompter is used at most live events. Two panels are placed on either side of a podium and allows the talent to not only read text, but also look out to the audience without having to look down to read notes. 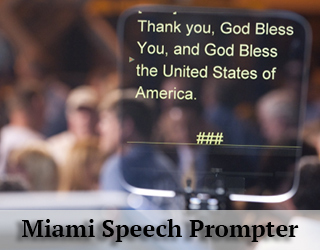 This unit is a great option for award shows, conferences and graduations.Presidential Prompter aka Speech Prompter Click HereA List Talent We Have Prompted For. Click Here. Price: $745+/10 Hours with OperatorFor multiple monitor set ups, please call 917.414.5489.The Confidence Monitor is a great options for speakers and performers who want to walk around the stage without being stuck to standing at a podium. The unit can be placed at the bottom of the stage, off stage or at the back of the house.Check out the Confidence Monitor page for more information as as well as images of the units by clicking on the link in the top menu. Price: $95/Day without iPad; $120/Day with iPad (Stand not Included)This unit is available for shipping only.The iPad Prompter is a portable unit that fits into a briefcase. It sets up under 2 minutes and does not require any wired set up. It is important to note that many iPad Prompter apps do not allow adjustment to scroll speed once it enters prompter mode. Our prompters are the top of the line AutoCue Professional and Master Series Units. The advantage is higher quality monitors, easy expansion on 15mm gold plated system to accommodate any size camera and lens. high quality glass for best video possible. Miami is a port city on the Atlantic coast of Florida. The city has the third tallest skyline in the United States with 300 high rise buildings. The city is a major hub for the arts in Florida and has many performance venues. The Adrienne Arsht Center for the Performing Arts was recently completed and is the second largest performing arts center, following New York City’s Lincoln Center. 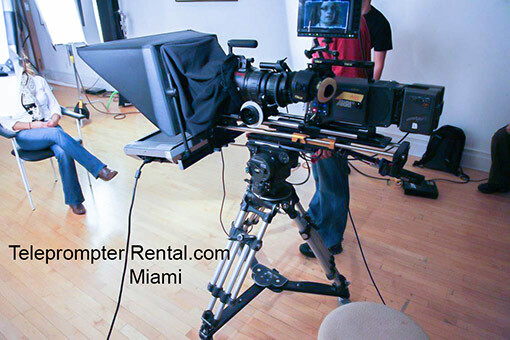 In addition to its impressive city center, Miami has several gorgeous beaches and is a prime filming location. I love my career as a teleprompter owner and operator. All my clients are special, but working with celebrities tops my personal chart for great work experiences.Here in Miami, we have hot nights, cool clubs and breathtaking beaches. Our clouds are as fascinating as any mountain range. Add the man-made gloss to the natural, staggering beauty, of South Florida, and you have a perfect production location. The gorgeous celebrities who work, live and play in South Florida enhance that beauty. 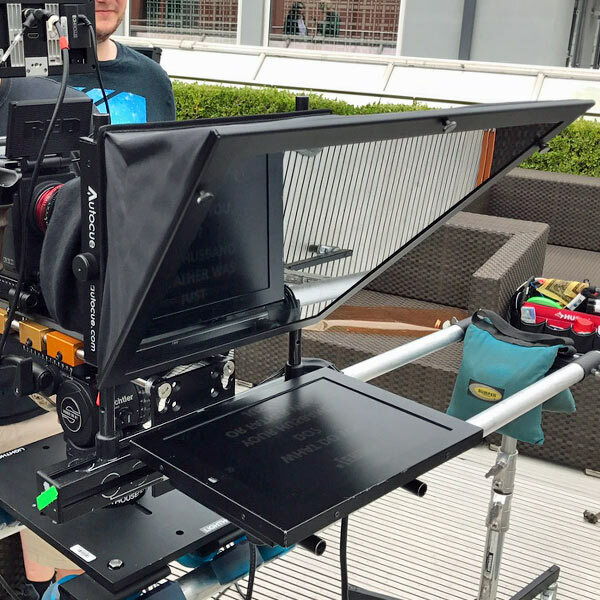 If you work in film, media production – particularly if you offer top-knotch teleprompter services as we do at Teleprompterrental.com – chances are you will work with celebrities. Every client brings unique needs and each one gets the celebrity treatment. But like the rich, the truly famous are different. Some are fun. Others are cut-and-dried professionals. In general, I find them polite, on time, serious about their work and grateful to have a pro running their teleprompter. I find them endlessly interesting. 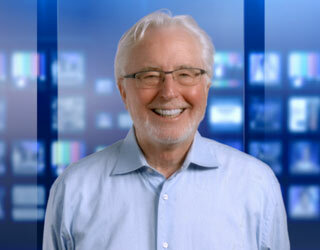 Recently, I had the honor of working with a super A-lister from the sports world. I wish I could tell you his name, but he trusted me not to reveal his identity. He is worldwide famous – and deservedly so. When I tell you he is also a nice man with a quirky sense of humor and a protective attitude toward his personal staff, I am barely brushing the surface of his kindness. He was recording a fund-raising pitch for a British hospital devoted to helping children. As his personal cameraman set up his video camera, I put together my prompting rig. It’s a professional model, yet super-fast to set up. So I was ready to roll before the rest of the production team. My celebrity, a quiet man, started to chat with me. He asked smart questions about the teleprompter, wanted to know how I got started on that career path and asked about my family. I found myself confiding that I grew up rather poor.A typical set with a teleprompter. He made me feel lucky to have grown up loved by parents who cared, food on the table every night and my own bed to sleep in. He didn’t seem to feel sorry for himself, but I wanted to go back and protect that young, hungry boy.Every client is special. And, yes, celebrities bring an extra excitement to the set. Yet, I will never forget the man – now rich, famous and powerful – who made me see my life through his eyes.That’s what I love about my job. Every day is different; each person has something to teach. His is the lesson I will not forget. Ashani was a major star in Bollywood, acting and singing in over 25 feature films. She came to New York to work as a Model for three years as she got her MFA in acting from NYU.She worked at The American Movie Company as talent in a series of video productions before leaving the cold for Miami.Ashanti works with talent who have little or no experience speaking before a teleprompter. She will work with your talent helping them to give a calm, persuasive, confidant and, above all, effective performance. Herb Miller has 14 years of experience in the film and television industry, primarily working as a producer for short films and corporate commercials. 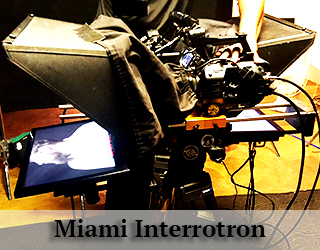 He now works with American Movie Company to maintain operations in Miami. 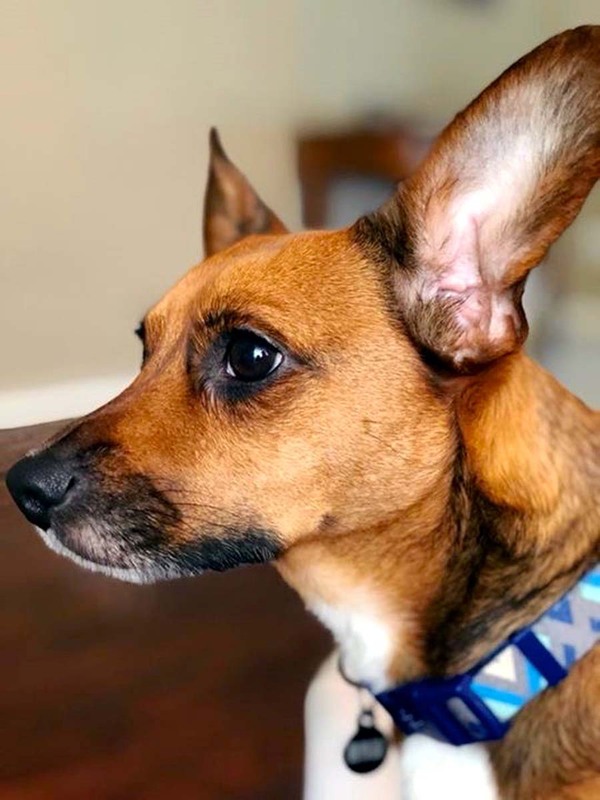 In his spare time, Herb can be found attending a yoga class and soaking up the sun at the beach.He’s also the caretaker of our cheerful office dog, Honey. 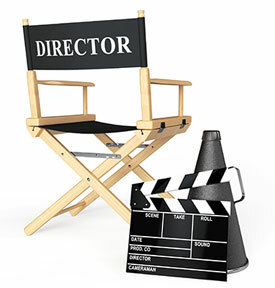 Smart directors know that a professional prompter and experienced operator can make the difference between a mediocre shoot and a great one. 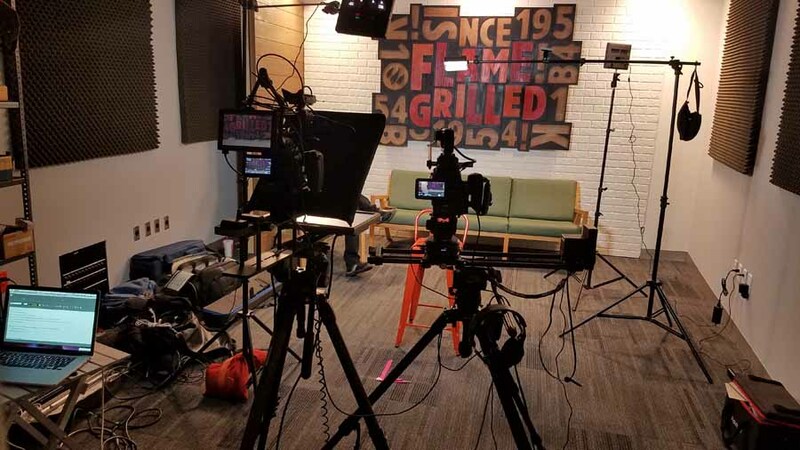 Both experienced actors and amateur talent, tend to respond favorably to having a a teleprompter and professional operator helping them through the video process. The technology enables the actor to be more confident and much more relaxed. It is simply common sense! 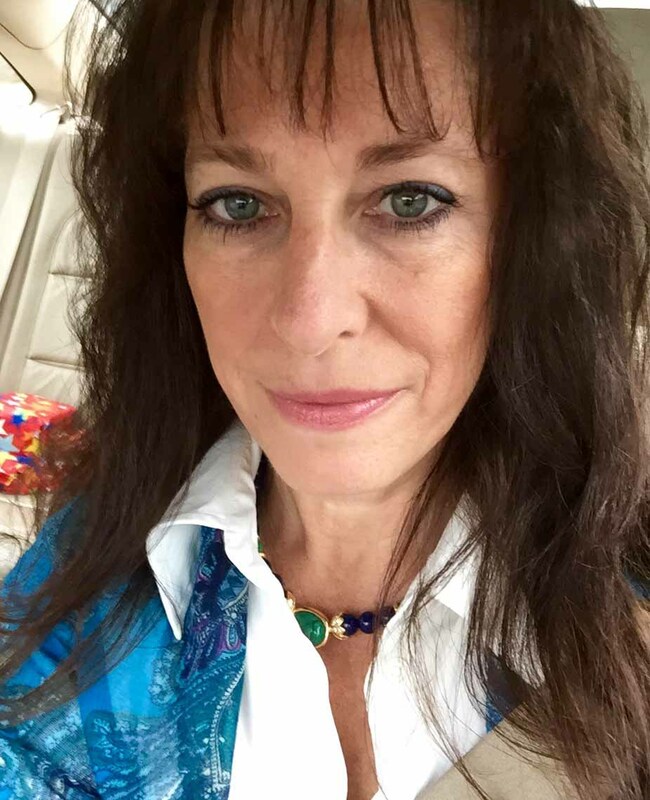 Meet Diane, a definite asset to our company. She wears many hats. She approaches each job with enthusiasm. Of late, she’s been a Teleprompter Operator. I’ve lived in Miami for almost nine years now. I moved down here from Tallassee. There’s no confusing the two. It’s a totally different Florida. You might even think you’re in another state entirely.I love everything about Miami. I love its beautiful weather and its beautiful, diverse people. South Beach is by far my favorite place to spend time on weekends. It’s always hopping with great music, nightlife and delicious food. After a few smooth bourbons, I make way to Calle Ocho in Little Havana. The whole area exudes the best of the Cuban spirit. Shops, cafés, clubs etc. Want a cigar? This is where you can find a Cohiba, Montecristo #2 and the lesser Macanudo.There is no place quite like Miami. The soft, transparent, turquoise water of the Biscayne Bay is one of the wonders of the world. The white sandy beaches sparkle like sugar in the sunlight. The art deco buildings summon memories of yesteryear. Its rich history leaves you in awe. I moved here to model but that career path didn’t really lead very far. As it turned out, it was a bridge to even bigger and better things. It led me to acting in front of the camera. I did it for a while and continue to emote to this day.As an actress I came to love and appreciate the unique perspective I had. I was fascinated by how things worked behind the scenes. That sort of disconnected feeling I had as I was acting evaporated. I was curious, interested, involved! A while back I was auditioning for a Best Buy commercial and used a teleprompter for the first time. The copy was pretty intricate and technical and certainly required any actor to read it, rather than commit it to memory. I remember the young girl who was operating the teleprompter. She spent time with me, explaining the process and giving me tips. She made me feel totally at ease and confident in my delivery. I’ll never forget her for the invaluable help and her infectious smile.A few months later I recognized her on another shoot. It didn’t take long to reconnect and discover that we had mutual interests. We swapped phone numbers and emails. We became fast friends not merely peripheral acquaintances. She was edgy and artsy, yet so cool and down to earth. She also loved what she did for a living and it showed. It turns out that she worked for a company that rented teleprompters and other equipment to the film industry. She even named her device, Michael. I assumed he was someone important in her life and it made her happy to be reminded of him on her job. I don’t like personal questions and so I never asked her about it. Respect one’s privacy, I say. At any rate, she often went on gigs to Miami and other places. She spoke of her adventures with such glee that I too wanted a job like that. The more information that poured out of her the redder the wine that I poured and the more we laughed together. I wanted that feeling! The people and places and subjects she was working with were so fascinating. At a charity event that summer I met a few of her co-workers. They were beyond delightful and felt like family right away. Wouldn’t you know it, the girl I had connected with at that Best Buy shoot, all those years ago, got me a job!I’ve never been happier! That Zen feeling that I had when I started working for TeleprompterRental.com hasn’t changed. It is with me still. Looking back, I can see why she seemed so chill and in her element. It is so important to love what you do. I am elated that I get to travel as a teleprompter operator (haven’t named my device yet!) and branch out as an associate producer. Eventually I want to direct! 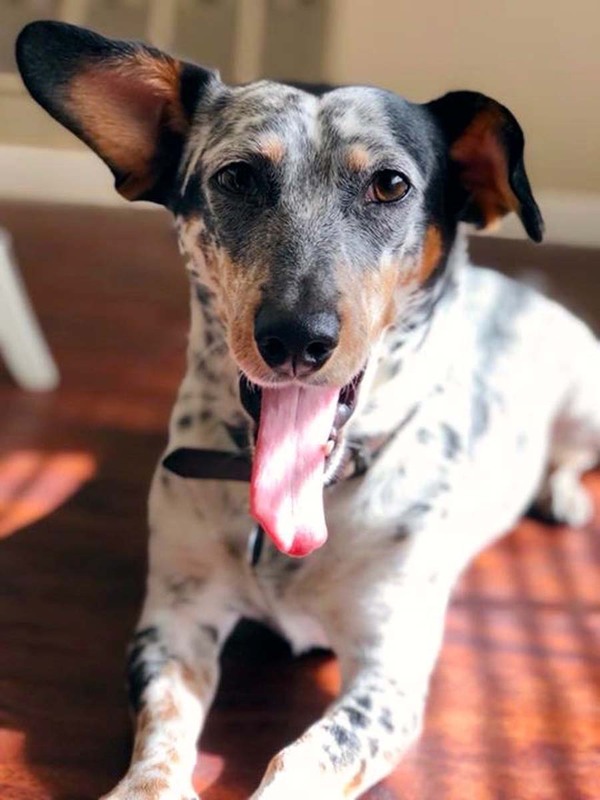 Luna and Neville are both rescue pups, enjoying the Florida sunshine! Their hobbies include long walks on the beach, belly rubs and, of course, getting into lots of trouble. The dynamic duo go everywhere together taking the streets of Miami by storm, one day at a time.